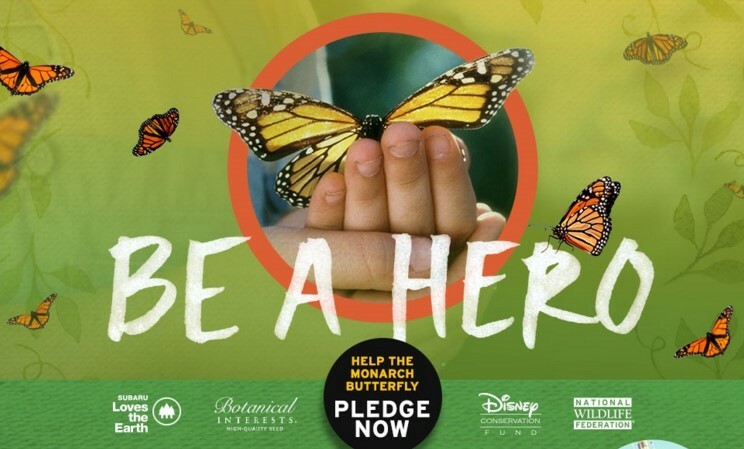 The National Wildlife Federation wants your pledge to be a butterfly hero and you'll be entered to win a trip to Walt Disney World Resort worth almost $5000! Plus, they are giving away free Garden Starter Packets, too. One (1) Grand Prize winner will receive one (1) vacation package for four (4) persons for three (3) nights and four (4) days at the Walt Disney World Resort to include the following: Four (4) round trip coach airfares between the major gateway airportclosest to winner’s residence and the Orlando International Airport [however, if winner resides within 250 miles of the Walt Disney World Resort, air fare will not be provided]. Four (4) round trip ground transfers between the Orlando InternationalAirport and the Walt Disney World Resort via Disney’s Magical Express motor coach transportation service. Room accommodations consisting of one (1) standard room (with amaximum of four (4) persons per room) for three (3) nights at a hotel at the Walt Disney World Resort selected by Prize Supplier in its sole discretion; based on availability. Four (4) 4-Day Magic Your Way Tickets with Park Hopper Option. The total approximate retail value (“ARV”) for the Grand Prize is $4900.00.